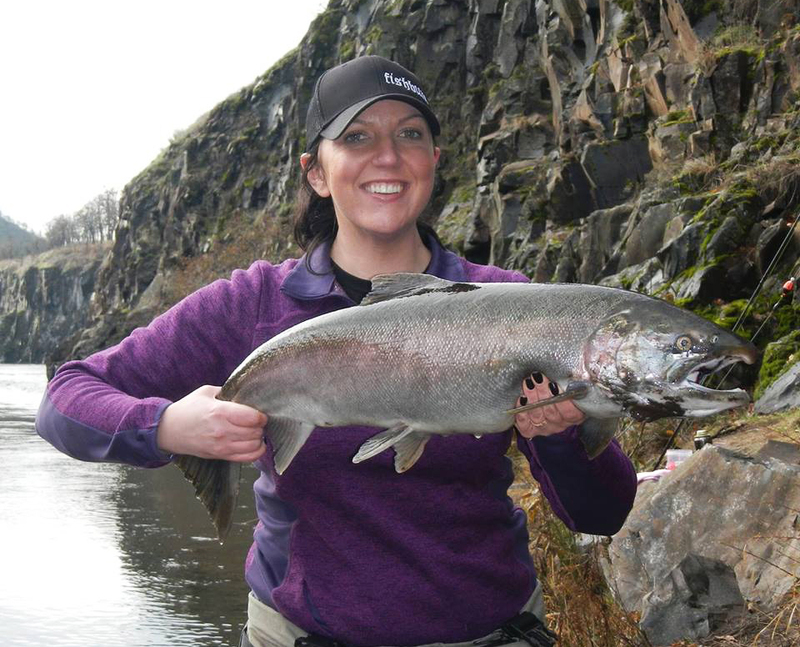 BD would like to introduce you to our next Fishin’ Chick, Renee Johnson. She shares her story and obsession for fishing. BD: Where do you live? Renee Johnson: I was raised in Portland and now live in Sherwood, Oregon with my husband, two dogs and a cat. BD: What is you occupation? Renee Johnson: I am a Medical Assistant for Providence Medical Group. Currently I work in our staffing department. When I took this job I intended to work less days and fish more. So far I have accomplished that goal and love what I do. Helping people and fishing more is a win. BD: What are your other hobbies? 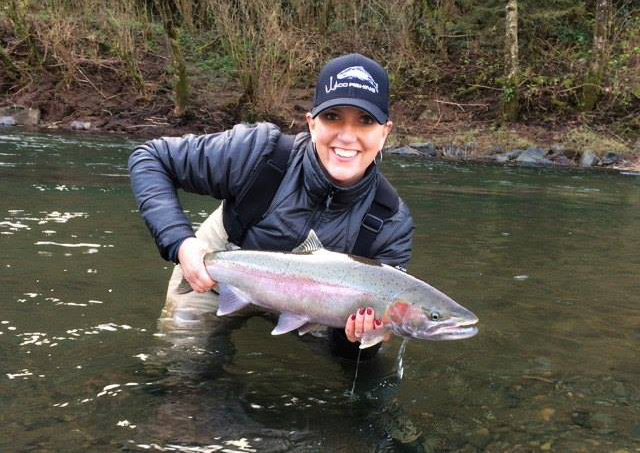 Renee Johnson: Fishing does not leave much time for other hobbies; I fish 2-3 days a week year-round. When I have down time I make dog food for my boys out of salmon I catch, gardening, cooking, shooting, and doing graphic design. BD: Who or what got you into fishing? 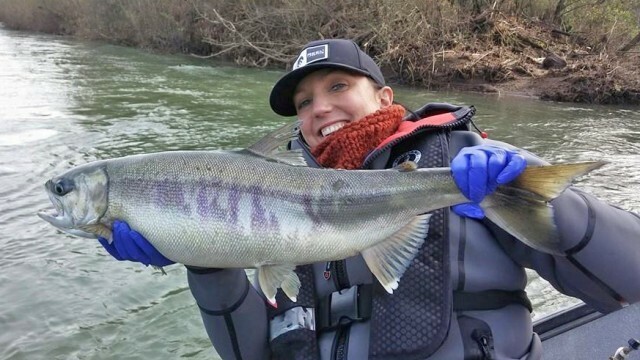 Renee Johnson: My husband is the person that inspired and taught me to fish. I would hear him leave the house at 2 AM and see him come home in the afternoon exhausted but glowing. He bought me a rod and reel combo for my birthday and I quickly decided fishing was something I had to do as much as possible. After catching my first spring chinook I knew what was left of my free time no longer existed and I just wanted to chase fish. BD: How long have you been fishing? Renee Johnson: I’ve been fishing for six years and I’ve averaged over 120 days a year for the last two and a half years. BD: What types of fishing have you done and where? BD: What is your favorite kind of fishing so far? Renee Johnson: My love is spring chinook and winter steelhead is a close second. 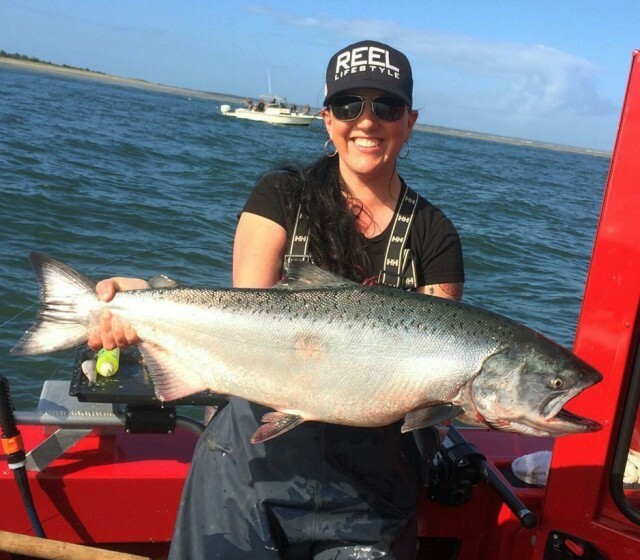 The beauty and power of spring chinook are the main draw for me and it is a time when lots of friends get together to spend days fishing hard and having fun. 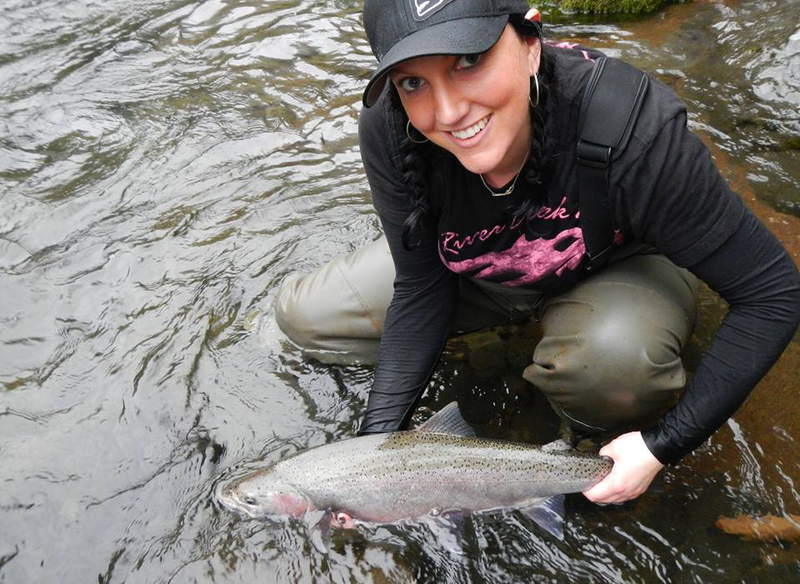 Winter steelhead is wonderful because they are more technical and the fights can be incredible. Winter is also a nice time of year to go exploring and find beautiful new places to fish. Offshore is pretty amazing and I absolutely love it but do not have many opportunities. 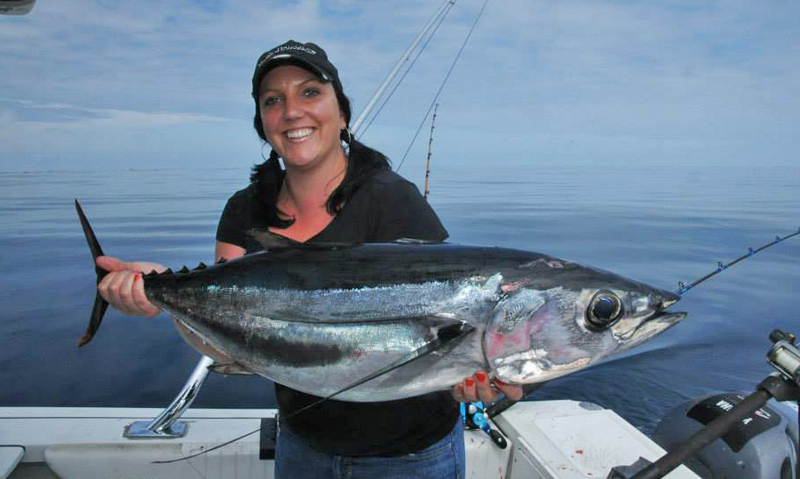 One day I would like to catch a grand slam and also take a multi-day trip for yellowfin tuna. BD: What are some future goals or plans pertaining to fishing? 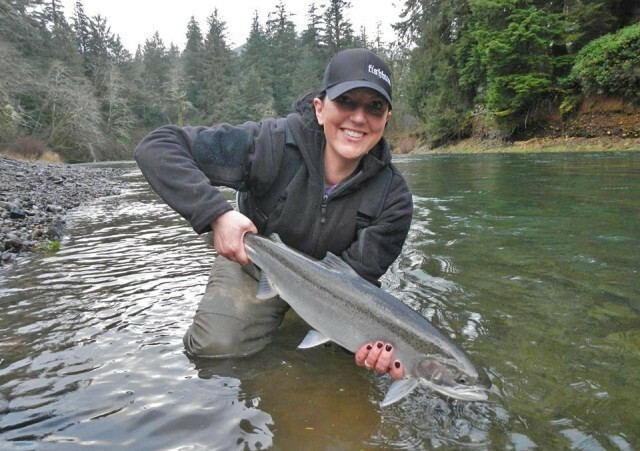 Renee Johnson: I would like to inspire and help women get the tools to fish on their own and feel comfortable doing it. I have talked to a lot of women that would like to do this but they feel like they do not have all the skills needed to succeed. I am looking for an avenue to provide some education to women that are interested in learning. 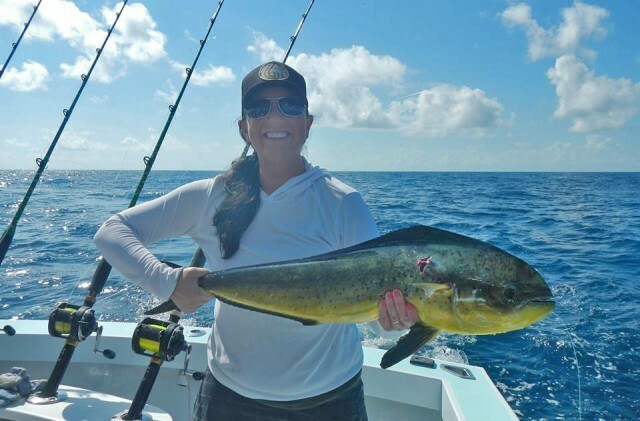 I have a blog called Renee Johnson Fishing that includes technical tips, gear reviews, and other fishing related information. It is directed towards both men and women but many posts will have information more pertinent to women. 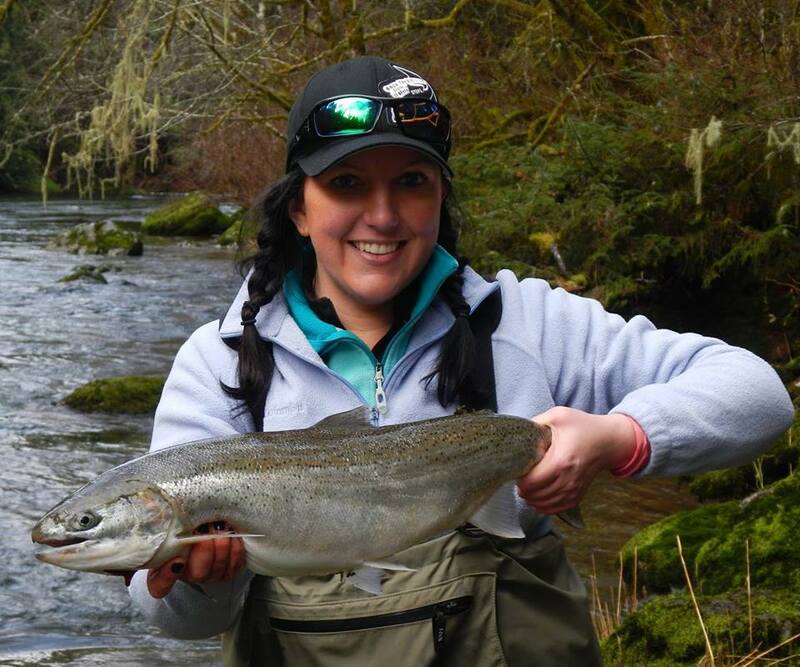 I plan to continue fishing hard for salmon and steelhead and I am excited to keep learning from each fish and fishing trip. BD: What part of fishing do you like the most? Renee Johnson: Obviously, I like the catching part the most! The main reason I fish is to have a good time with friends and family. I know fishing has helped me grow as a person and an angler. I am constantly learning and wanting to improve my game. BD: Tell us about some of your proudest moments in fishing. Renee Johnson: My parents, husband, and I went to Isla Mujeres this past January. 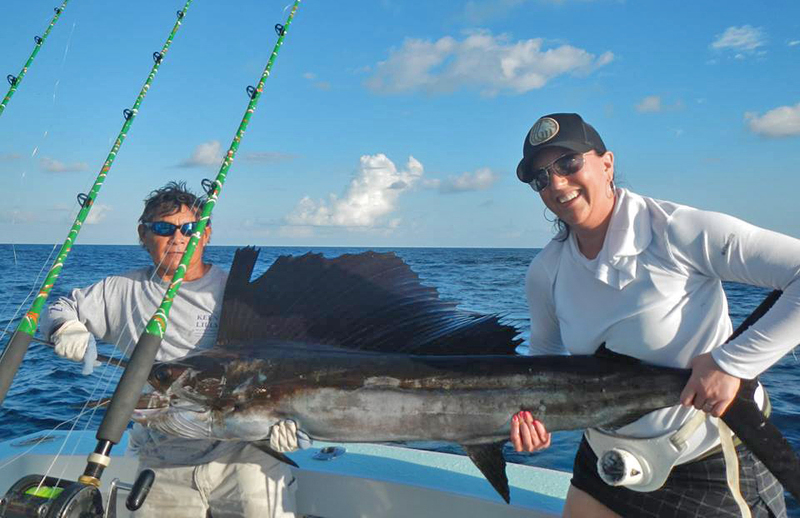 We went out chasing sailfish with Keen M. Sportfishing and had a wonderful day. I got 3 sailfish to the boat and a dorado. My husband got 4, my dad got 2 and a wahoo, and my mom got one. It was a great experience sharing my passion with my parents. My mother does not fish and my father fishes once or twice a year with friends. Getting the chance to talk my mom through a sailfish fight is something I will never forget. She really had to work hard for her fish, and was glowing when it was all over. It was a major accomplishment for her and I am happy we got to share that experience. BD: What other “aspects of you” would you like to share? Renee Johnson: I am currently trying to balance my work, fishing, and home life; It seems like a constant battle. I am always playing catch up at home because of the amount of time I spend fishing. I absolutely love it and would not trade my lack of balance for anything in the world. A maid service might be a nice addition to my life though. I work hard, fish hard, and absolutely love this crazy lifestyle. I have hiked into holes without a light at midnight just to get the good spot. Hiking into fishing holes the night before I fish, crossing rivers at night and sleeping on the riverbank is a usual occurrence for me. 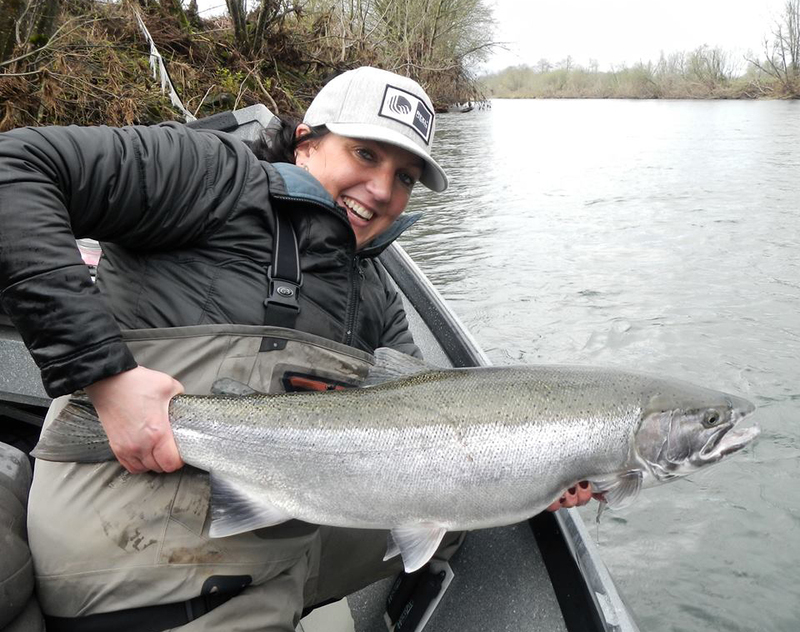 I work hard to stay consistent catching quality fish and I think that getting the spot I want is part of the key. It can be tough, but it is always fun. I have an amazing group of friends I fish with and my husband is right there with me. I have one day a week I fish alone and I enjoy that time too. BD: Where do you live? Katie Pere: I live in Haleiwa, Hawaii. The beautiful North Shore of Oahu. BD: Where do you live? Leslie Martinez: Jacksonville, Florida, but I am originally from Puerto Rico.